I’ve really enjoyed using Parallels to run Linux on my Macbook Pro. I get the sleek styling of the Macbook but I get to use an open-source operating system on it. I’ve installed several different popular Linux distributions and put together a top 5 list ranked firstly on interface appeal and secondly on general distribution quality. The reason Mint ranked so low on my list of top 5 is because I couldn’t ever get the ISO to work in Mac OSX. Every time I tried to install it or burn it I would get a “Error reading boot CD” message and it would then stop installation. The reason it made my list at all is because I’ve used it before on a PC and because I was able to remind myself of how gorgeous the UI is thanks to the many screenshots around the internet. 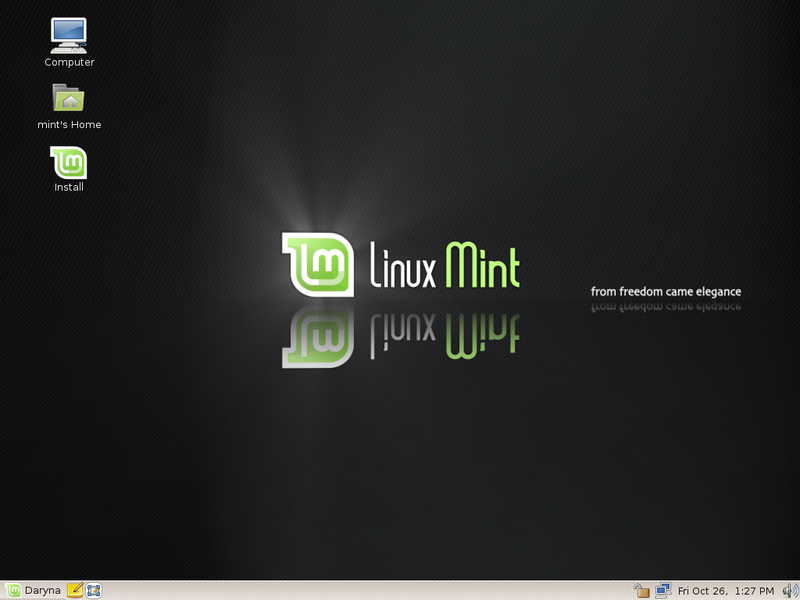 Linux Mint is an Ubuntu-based distribution. It includes browser plugins, media codecs, support for DVD playback, Java and other components so that once it’s installed you don’t have to go hunting for all of it. 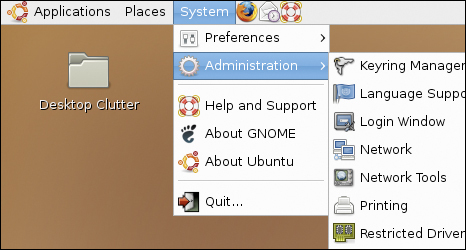 It also adds a custom desktop and menus, several unique configuration tools, and a web-based package installation interface. Linux Mint is also compatible with Ubuntu software repositories, so there’s no short supply of software available for it. 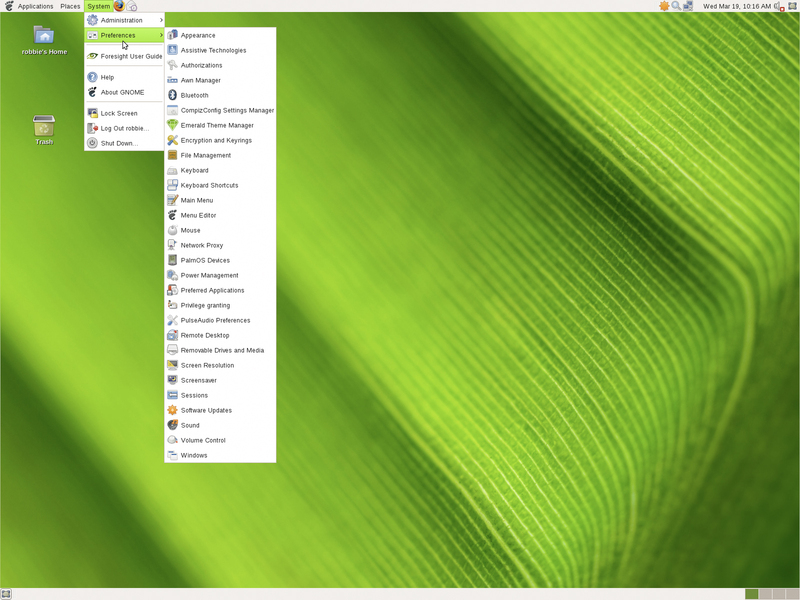 Mandriva Linux was launched in 1998 under the name of Mandrake Linux. 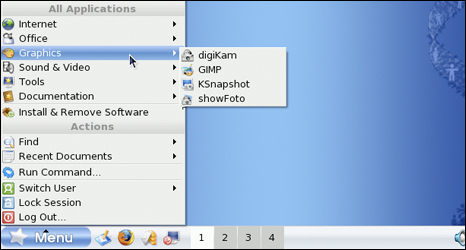 At first, it was just a re-mastered edition of Red Hat Linux with the more user-friendly KDE desktop, but the subsequent releases also added various user-friendly touches, such as a new installer, improved hardware detection, and intuitive disk partitioning utility. The graphics are friendly and semi-cartoony. Mandriva is the only Linux distro that I’ve attempted to install on my Macbook Pro using Parallels and haven’t been able to change the resolution to higher than 800×600. I can’t hold this against it as it wouldn’t be a problem for anyone else who is installing it on a PC, but it didn’t help it’s ranking on my list. I love the fact that they pioneer areas like a standalone Linux installation on a Jump-Drive, but there are so many commercial versions and their web presence is messy at best…Mandriva has an uphill battle ahead of it due to it’s corporate nature and poor corporate decisionsfor sure, but it’s a great beginner distribution. If you are unsure about installing it, try downloading the disc image and making a “live cd”. You can boot from it and experience Mandriva without actually installing it. Ubuntu was launched in 2004. In the few years that followed, Ubuntu has grown to become the most popular desktop Linux distro and has greatly contributed towards developing an easy-to-use and free desktop operating system that can compete well with any proprietary ones available on the market. It has a predictable, 6-month release schedule, with an occasional Long Term Support (LTS) release that is supported with security updates for 3 – 5 years, depending on the edition. Other special features of Ubuntu include an installable live CD, creative artwork and desktop themes, migration assistant for Windows users, support for the latest technologies, such as 3D desktop effects, easy installation of proprietary device drivers for ATI and NVIDIA graphics cards and wireless networking, and on-demand support for non-free or patent-encumbered media codecs. I love Ubuntu. It’s a great distribution and is fairly easy to learn. It’s learning curve is harder than some like Mandriva, but it’s lifespan is much longer and you won’t be growing out of it in search of a more complicated/in-depth OS. 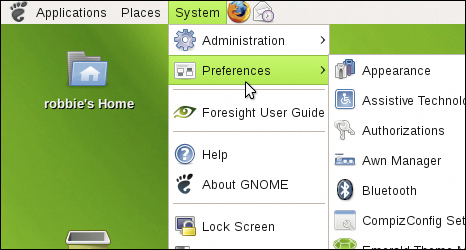 Foresight Linux is a distribution based on rPath Linux, which showcases the latest and greatest from the GNOME project. Some of the more innovative software packages, such as Beagle, Zeroconf and Mono, together with a nice, clean default theme and artwork, are also included in the distribution. I’m not a huge fan of their logo, but the overall look and feel of the OS is really really great. I enjoy running it from time to time to just play around and play with it’s appearance and themes. 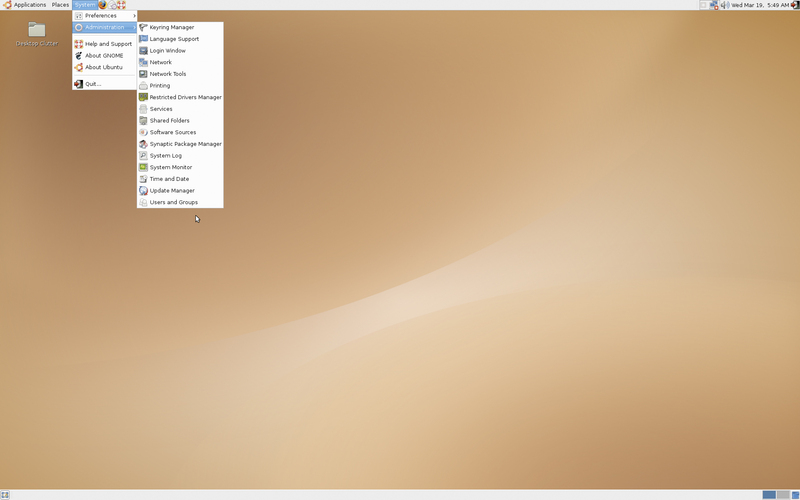 Kubuntu is an Ubuntu-derived distribution. The Kubuntu CDs are made up of Ubuntu’s base plus KDE. You can get exactly the same effect by installing Ubuntu and adding the KDE packages from the Ubuntu archives. Kubuntu, however comes packaged with lots and lots of software. I like it more than Ubuntu because of the colors and feel and massive amounts of preinstalled software. It’s great for someone who doesn’t really know how to go about obtaining new software for their Linux install. For a great review of Kubuntu, check out here. You can always change the appearance of your Linux interface by adjusting appearance settings, icons, and wallpapers. You can also install Emerald to download and use customized interfaces. Please rename the title, the list you have presented are of different distributions of linux. 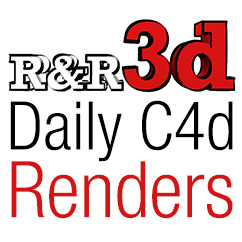 Maybe call it “Top 5 Linux distributions based on UI.” Or something not so wordy, it makes me thing you are an idiot and never want to read anything you write again. I expect that you will delete this comment, but please accept my advice. 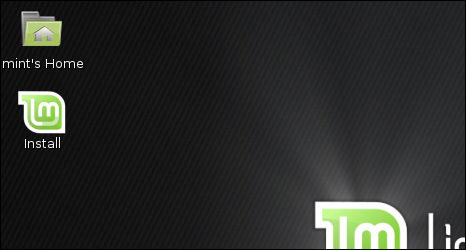 This is a good quick comparison of the different desktops on the top Linux distributions. In my opinion, it’s just what a potential Linux user needs to see. Thanks, Richard. 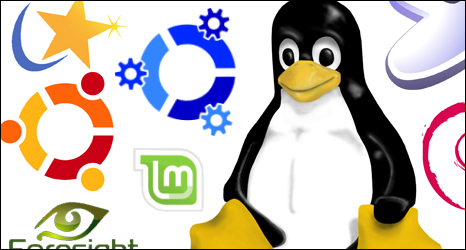 I think that a list of the top linux distros would’ve included Redhat, openSUSE, Fedora, and Debian as well. For those interested in using Linux, check those out as well. Thanks for your list Robbie. Although I completely agree with you, no linux discussion is complete without someone telling you you’re wrong, and dissing you. Even though Kris came close, I think they weren’t direct enough to qualify and thus your post isn’t legitimate yet. So: 1) you’re wrong! !, and 2) stupid n00b loser! Perhaps I don’t need #2 since Kris did pretty much call you an idiot, but since he corrected you on a technical issue and used the words “I thing” instead of “I think”, that could invalidate the dissing, so I left it in. Again, I like your list. Ah, you’ve got to love linux users. They whine and complain that nobody is using “their” OS, and when somebody tries to give it some air time all they can do is find fault. This clearly wasn’t meant to be an exhaustive look at all linux distributions out there and it was clearly meant to look at the UI elements that this user “plays with” from time to time. Personally I thought it was worth reading. BTW: If you have kids (especially small ones) check out Edubuntu…or just the edubuntu packages on top of Ubuntu. I made the switch to Linux after XP crashed on my laptop. I’m using Ubuntu 7.10 after having tried 6.06 after it came out. I wish I would have gone with Kubuntu but so far have been happy with the orginal flavor. Ubuntu may not be the best distro in everyone’s eyes but it is an easy distro for the noob to get their feet wet with. Very good comparison list for potential converts. 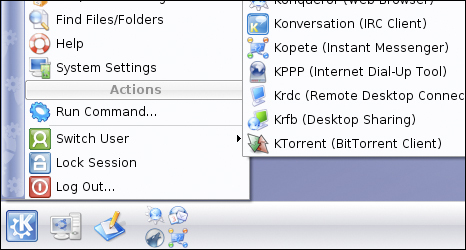 Roy – you can simply add the KDE packages from the Ubuntu archives and basically get Kubuntu. Just an FYI.